Years ago I belonged to an amazing group of women who loved to craft. Each month we would come together and exchange hand made cards. We called it Card Swap. 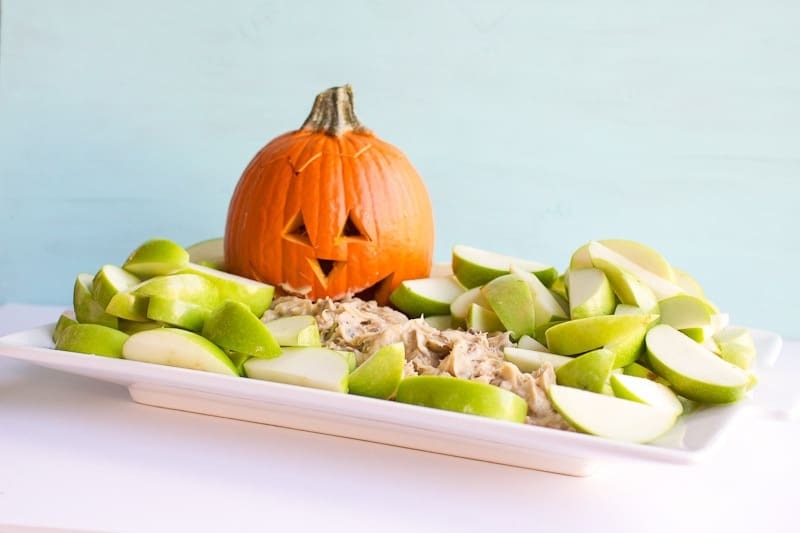 On one of these evenings one of my friends, Trisha, shared this delicious toffee apple dip. We all ate and ate and ate this stuff until it was gone! I’ve since shared this recipe with so many people and I have made it for many a gathering. As a tradition I make this dip every Halloween for an adult costume party we host. There is never a speck left. The recipe has three ingredients, so anyone can do it. And I promise that everyone will love it! I like to serve this with sliced apples. I have a tip for keeping those apples from turning brown. After slicing – place in a gallon size ziplock bag. Juice one lemon or lime into the bag and give it a shake. The citrus will keep the apples nice and fresh for your serving platter. Some may say that you don’t even need an apple with this dip – just wipe the bowl clean with your fingers, ha ha! To each their own! This dip is decadent. It is truly the candy for your apple. With a candy bar as one of the ingredients you can’t argue with that! And who would want to? Toffee apple dip is truly delicious. If you haven’t check out some of our other dips, you must! We have a ton of dips in the archives that will make your next get together spectacular! You can take a look at them HERE. And make sure to leave me a comment if you try one, I love hearing from you! For this gorgeous platter and other items I used in this post – check out the slider below. Perfect for a party dip! Stir cream cheese and brown sugar together until smooth and creamy. For a quick stir, use a stand mixer with the paddle attachment. Stir in Heath Bar crumbles. Serve with sliced green apples. This dip is hands down my favorite to bring to parties!